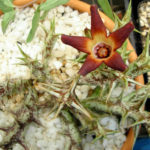 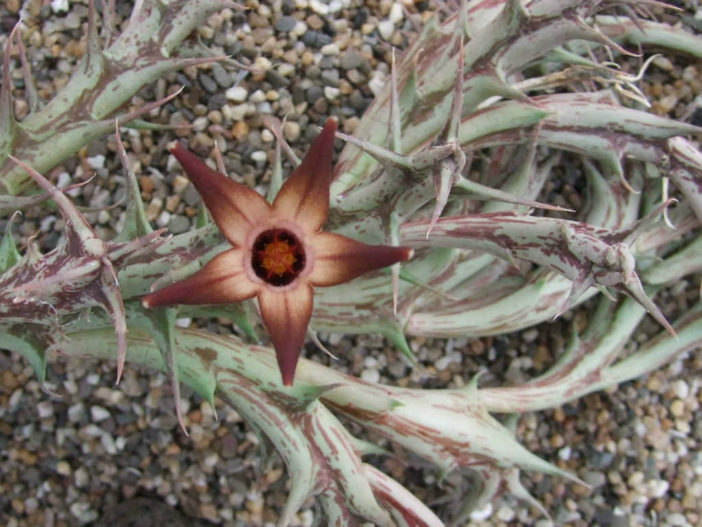 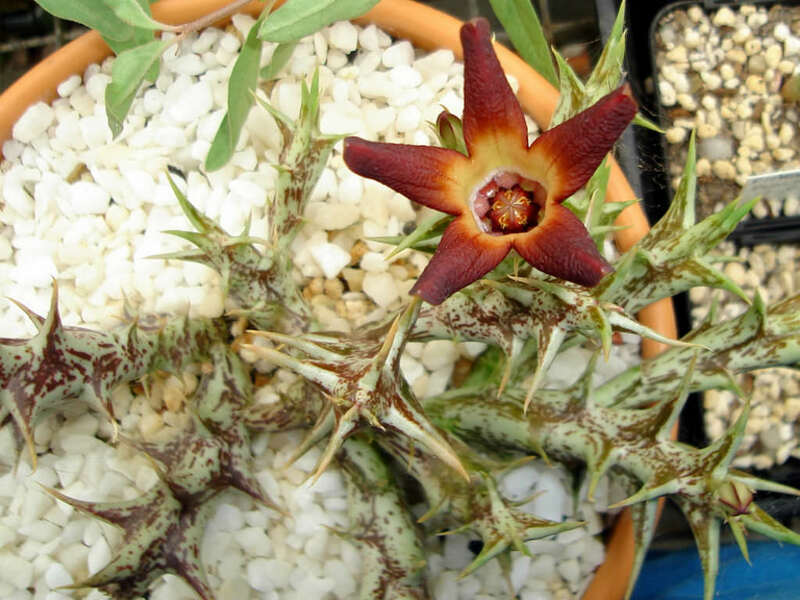 Orbea distincta is a succulent plant with trailing, segmented stems. 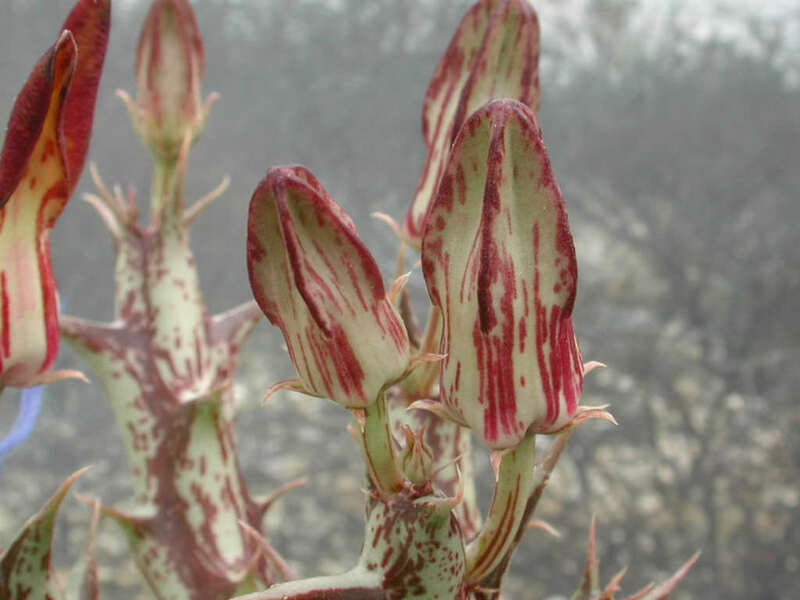 They are cylindrical in cross section, pale green, grey-green or olive-green and mottled or streaked with darker green and maroon. 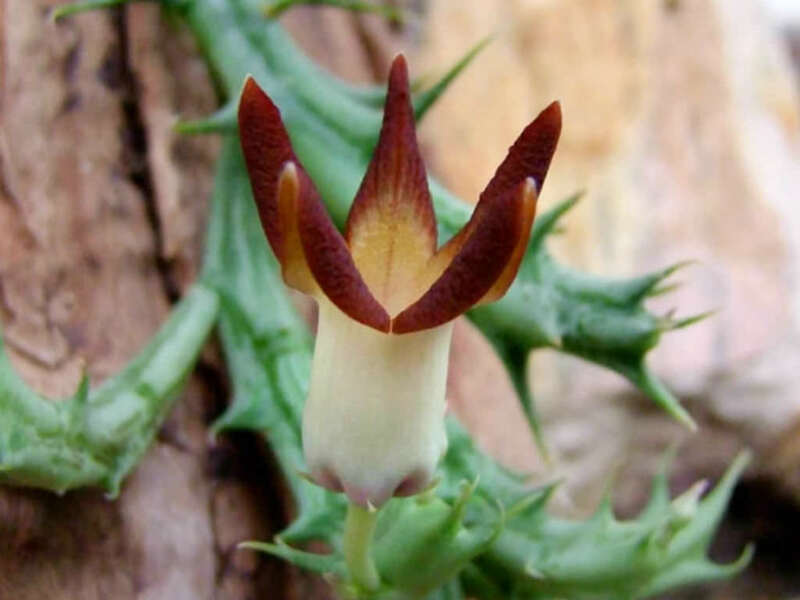 Each segment is up to 3.2 inch (8 cm) long, up to 0.3 inch (8 mm) in diameter, with well developed, tapering, alternating pairs of teeth. 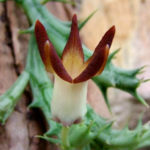 The flowers are erect, usually bicolored with the brown or carmine color on the lobes fading to pale creamy-yellow within the tube. 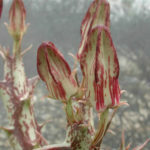 It is native to Tanzania and Kenya.